The paper modelling trend is still going strong, although their are a few creative collectives out there that are really taking it into new territory. This set called ‘Lucky’ by Russian design group People Too is exquisitely detailed, placing them in my eyes as one of the best. I am always stunned by this sort of work, the dedication it must take to get every fold and crease right, creating proper shaping for each character. Giving life to card is not an easy task. 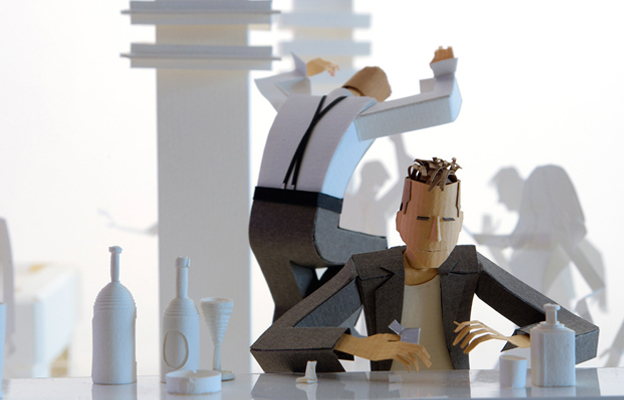 But these guys take it to a new level, using scenes to backup their already great paper models, bringing conceptual ideas and originality to the table. I recommend checking out the links below to find more projects from People Too.